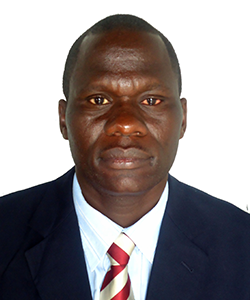 He is the deputy director of Concordis International in South Sudan. He has an MA in Peacebuilding & Conflict Studies with a major in Mediation. He has a second MA in International Crime and Justice. He is experienced in designing and facilitating programmes in volatile areas in South Sudan, Northern Uganda and cross border pastoralist occupied areas of Kenya, Uganda, Sudan, South Sudan and Ethiopia. He also has extensive experience in designing and facilitating peacebuilding and conflict management trainings at local and regional levels and in areas of strengthening policy & practice. Jimmy is Ugandan.